As a business owner, you should be aware of the things that can ruin your B2B lead generation campaigns. And there are a lot of these factors. It could be the latest market trends, the newest innovations in generating B2B leads, or probably a change in the weather (that can ruin you, too, really). It could also be traced to poor employee performance as well. But, perhaps the biggest reason for your business to fail could probably be you. Yes, you. You might think that this is crazy, but there is a reason for this. It all has to do with your mindset. How you think your business should go plays a big role in this. And what could these erroneous beliefs be? “My business is the best” – sure, that claim may be true. You might really be the best, for someone, that is. You may not be the best for others. Indeed, you might be the worst choice for other customers. That is the fact of life: you just cannot please everyone. In that case, you have to concentrate on where you fit best. Trying to be the ‘best in everything’ will just stretch your resources too thin, and would only weaken your position. “My people are the best” – it is the same thing with thinking number one, but it is also one that can really be damaging. Sure, you may have the best telemarketing team for the job, but you do not have all the best people. In the event that something goes wrong, you should not blame your people readily. Look first at the situation, and then figure out how your team can do better. You also do not have to hire and fire everyone all the time. Just hire those who will match most of your needs, and make sure all have varied skills that can compensate each other. 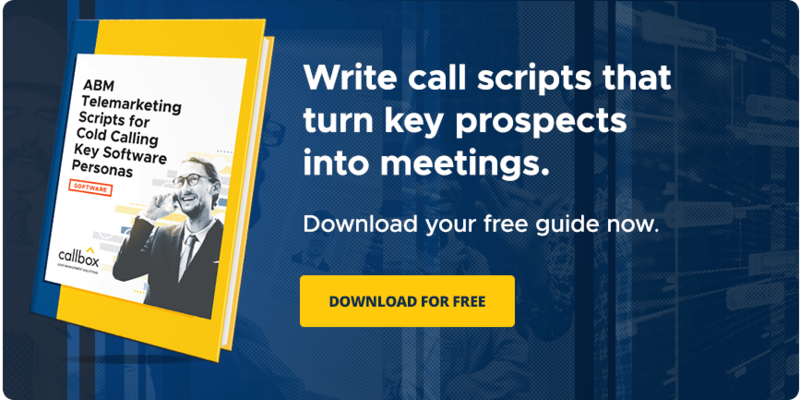 “My sales process is the best” – it is possible that the way you generate sales leads is the best for your needs, but it is also possible that you only that this is so. Truth to be told, marketing is an ever-evolving profession, one that has to constantly change to bring you the results you require. For this reason, you have to do checks and counter-checks on your appointment setting campaigns. You can never tell when you should change the batteries, so to speak. Enough talk about being the best. While the above thinking can be great material for pep talks with your lead generation team, you should always ground yourself on reality. Without it, you will not be able to adapt to changes in the market, improve your marketing processes, and ultimately ruin your ability to generate sales leads in the future. You should think things through, and plan for any eventuality. That is the secret to true success in business. If we are to put it in a saying, then maybe we could say that ‘we should hope for the best, but prepare for the worst’.